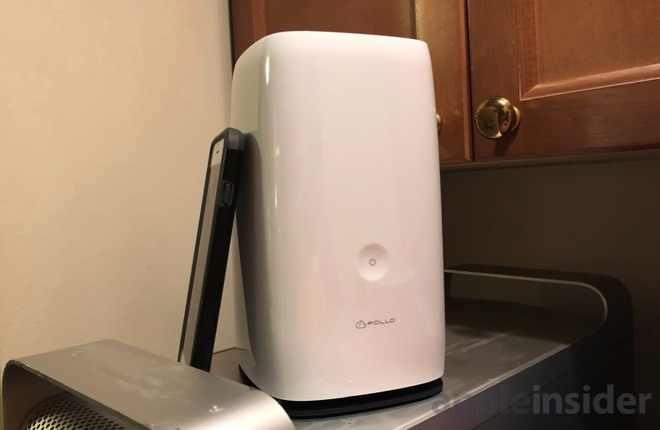 Promise's Apollo Cloud 2 Duo has a simple setup process on the iPhone that just about anybody can handle, and is the closest thing we've seen yet to network storage as an appliance —and we've got one on our test bench. The Apollo Cloud 2 Duo hardware itself features a dual-core processor. The unit comes in one configuration with dual 4-terabyte "surveillance-class" hard drives which can be configured in RAID 0 or 1 configurations. A USB 3.0 type A port allows for backup, transfer, and restore. Network connectivity is provided by a Gigabit Ethernet port. 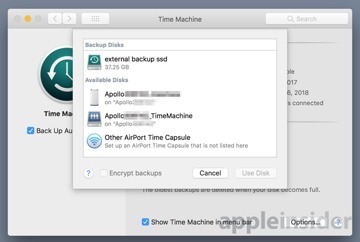 Mac users can use the device not just as a file repository, but also as a Time Machine drive, with incremental backups possible over the internet as well. Initial hardware setup is simple. Plug it into power, plug an Ethernet cable into it —and it turns on. 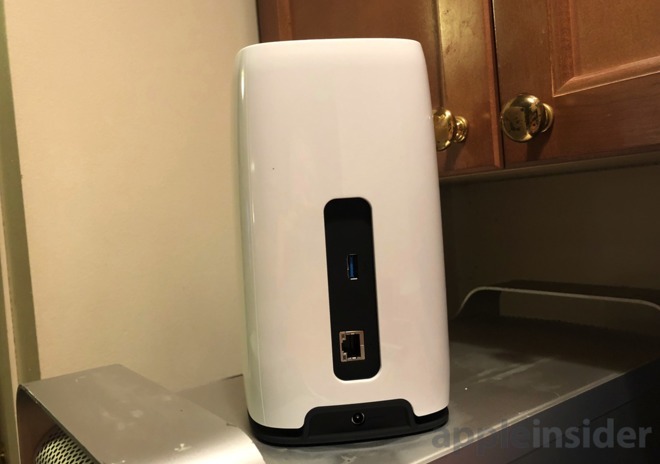 Promise, and AppleInsider recommend hanging it directly off the router, which for most setups may be the only network switch available, but that's more for traffic localization and management. We were able to plug it in on the remotest corner of our wired network with no ill effect other than bombarding the entire length of the cable run on unmanaged switches when we wanted to move mass quantities of data around. It's then synchronized to the iOS app for setup using an account creation and QR code scan —and that's it. After that, it's ready to go on iOS, allowing for full Files integration with stored data on the device, as well as camera roll backup to it through the iOS app. Access on the Mac isn't quite as simple as logging into the device from the Finder, at least at first. 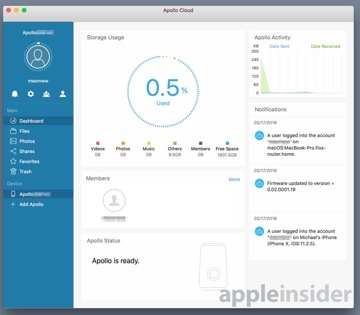 The Apollo Cloud app must be downloaded from the App Store to access the array at first —but after that installation and subsequent login, it pops up in the Finder's list of accessible drives, and the available Time Machine targets as well. That all said, if the power is unexpectedly cut to the Apollo Cloud 2 Duo, macOS doesn't deal with it all that well. 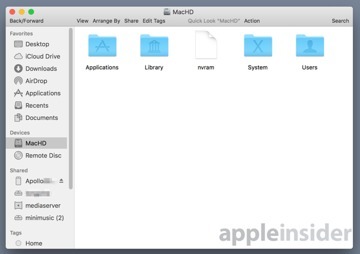 Every time we've tried it, we've had to reboot the Mac to restore network share access to every other device on the network. This isn't necessarily a deal-breaker, but something to keep in mind. We might be under-selling the integration with the Files app a bit, because that's where we think the device will shine as we roll on with our testing. Instead of relying on apps to have their own network retrieval routines, like that included with the in-app purchase of GoodReader, you can load up the Apollo Cloud 2 Duo with your own PDFs, grab them from Files, and "pull" them from the iPad or iPhone, and move them to any compatible app, instead of pre-loading an iPad with content —and you can do this across the internet as well. As a network attached storage device that integrates very well with iOS devices, the Apollo Cloud 2 Duo does what it says on the tin with a bit of style. For the tech savvy, it also has an easy mirroring procedure to another one across the internet, perhaps allowing for some easy backup solutions for people you get sucked into supporting, without turning to a subscription service like Backblaze. Network attached storage isn't new, nor are network-accessible Time Capsule drives. However, there is a barrier to entry to setup and configuration for most of the products that will provide that for users. Promise's Apollo Cloud 2 Duo has very few hurdles to jump given the guided iPhone setup. It is intended as an appliance after you set it up, set and forget, and isn't really intended to be a multi-purpose device with lots of options, like some of the mid- and high-end Synology products. We'll be testing it more, including the ability to set up to 20 unique users for the device, in the coming days. The Apollo Cloud 2 Duo hardware was released in August. It is now available at Apple Stores and other hardware vendors for $499 for a unit with a pair of 4-terabyte hard drives.